Naama Benziman was born in Jerusalem in 1968. 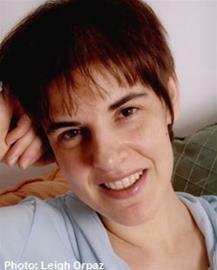 She graduated from Bezalel Art and Design Academy in 1992 and is now completing graduate studies in Visual Literacy. She works as a freelance artist, editor, curator, illustrator and author, and as a lecturer at Israel’s top visual arts academies. 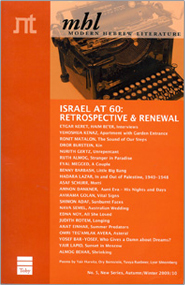 In 1998-1999 she wrote and illustrated a feminist column for the mass circulation daily Yedioth Ahronoth. Benziman’s artwork has been featured throughout Europe, North and South America, and Asia. Her posters for the right to education and the universal right to housing won the international poster competition by Poster For Tomorrow (2011 & 2013). Benziman's illustrations for Emilia, her second book for children, won an Honorable Mention in the Picture Book Illustration competition awarded by 3x3, The Magazine of Contemporary Illustration (2014) and the Merit Award in Hiii Illustration 2015 International Competition (China, 2016). Benziman received the Ministry of Culture and Sport Prize for Plastic Arts (2016) and an Andersen Citation for Illustration (2017).